Today I’m looking at the carol, “Ye Faithful, Approach Ye!” Say what? How about, “Hither Ye Faithful, Haste with Songs of Triumph” Never heard of it? OK, then, “Adeste Fideles.” Getting closer? You got it, “O Come All Ye Faithful!” I’m sure glad we wound up with this translation! We have an English Catholic priest, Frederick Oakeley, to thank for providing our more singable translation in 1841. 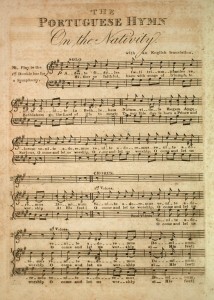 This carol has numerous people and groups as possible writers. 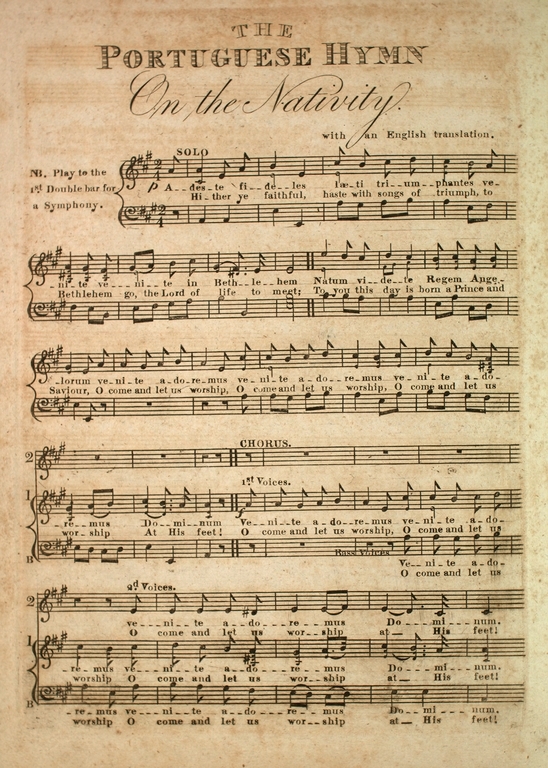 The original music is attributed John Francis Wade by some, John Reading by others and even to King John IV of Portugal. The earliest copies bear Wade’s signature, but there is a good bit of evidence of a version by King John IV that predate those by quite a few years. Many attribute the original text to the king, too. 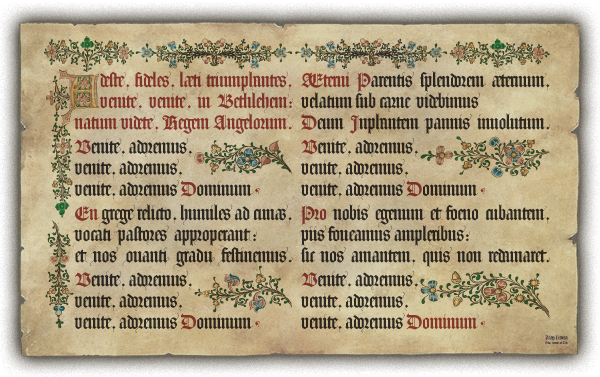 However, most music historians believe it was written by the Cistercian order of monks. The song shows up as often as “White Christmas” during the season. It’s been in movies like Home Alone 2: Lost in New York and National Lampoon’s Christmas Vacation and performed by everyone from the Mormon Tabernacle Choir to Twisted Sister. There are 3 or 4 verses typically in most current hymnals, but there are 4 more in the complete carol. It is a beautiful carol and will always be in my top list. Here is a rendition by Andrea Bocelli in Latin. It is an amazing performance and I don’t see how he could possible have enough air to hold that last phrase so loooong!! Be the first to know when new posts are published and to receive my newsletter.